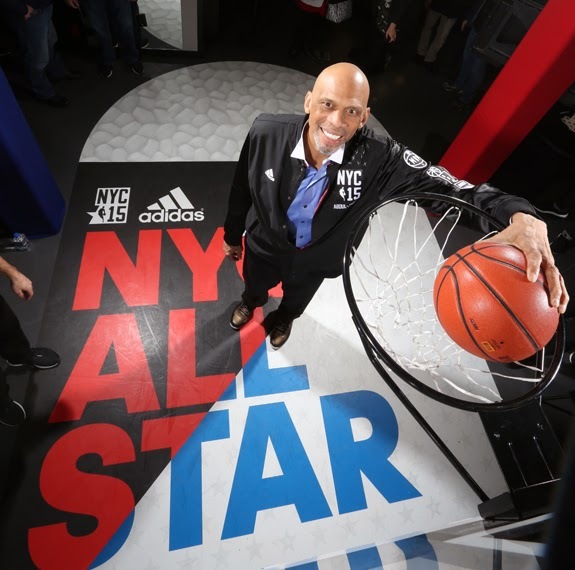 adidas tipped off NBA All-Star 2015 on Friday with the on-court debut of its latest basketball innovation, the Crazylight Boost 2015, and a fan event with NBA legend Kareem Abdul-Jabbar. 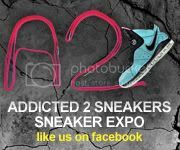 Andrew Wiggins debuted the Crazylight Boost 2015, which features industry leading Boost cushioning and a Primeknit upper, during the BBVA Compass Rising Stars Challenge at Barclays Center in Brooklyn while Minnesota Timberwolves teammate Shabazz Muhammad laced up the new Futurestar Boost. 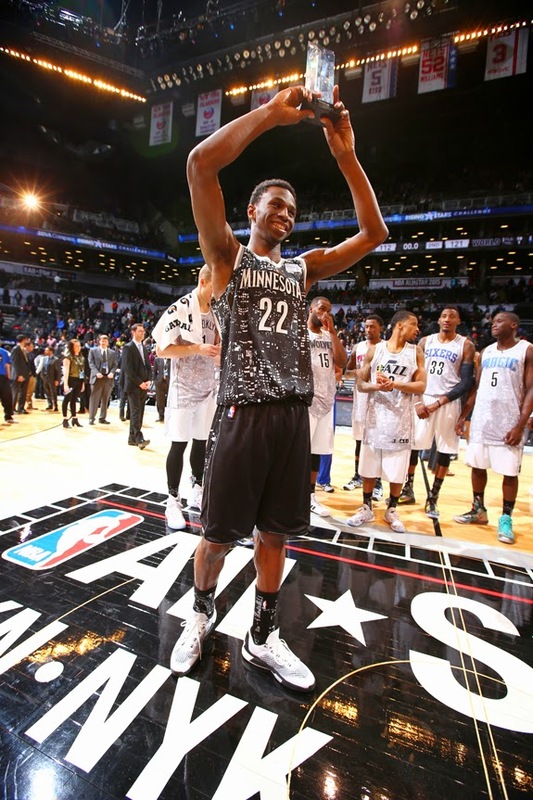 Andrew Wiggins of the Minnesota Timberwolves hoists the MVP trophy after leading the World team to victory at the BBVA Compass Rising Stars challenge at Barclays Center in Brooklyn during NBA All-Star 2015. 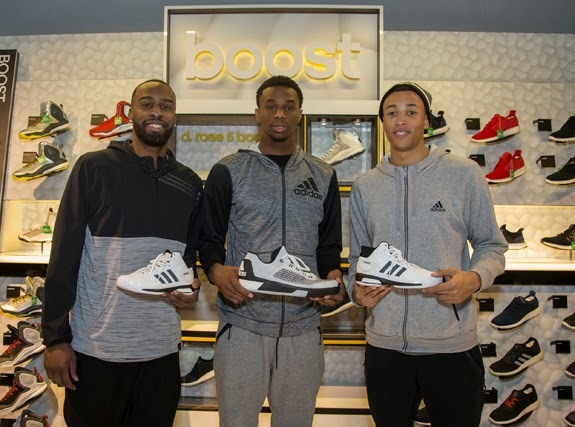 Shabazz Muhammad and Andrew Wiggins of the Minnesota Timberwolves and Dante Exum of the Utah Jazz check out the adidas Crazylight Boost 2015 and adidas Futurestar Boost NYC All-Star edition during an NBA All-Star 2015 appearance at the adidas Sport Performance Store in New York City. adidas NBA All-Star 2015 events continued Sunday in New York City featuring NBA All-Stars John Wall (Washington Wizards), Kyle Lowry (Toronto Raptors) and Jeff Teague (Atlanta Hawks). John Wall made an appearance at the adidas Sport Performance store in New York City, surprising young fans with his J Wall 1 NYC All-Star edition basketball shoes. 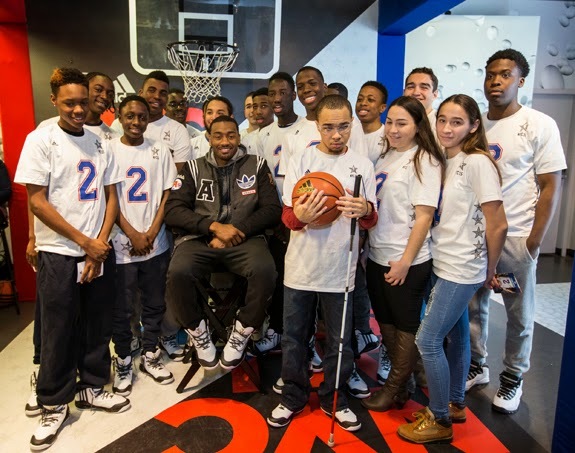 John Wall of the Washington Wizards surprises young fans with a pair of J Wall 1 NYC All-Star edition shoes during an NBA All-Star 2015 appearance at the adidas Sport Performance Store in New York City. 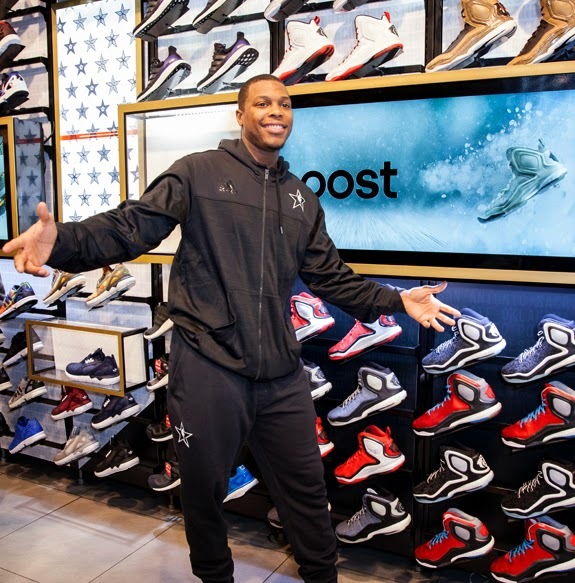 Kyle Lowry of the Toronto Raptors poses at the Boost basketball display during an NBA All-Star 2015 appearance at Foot Locker on 34th Street in New York City.